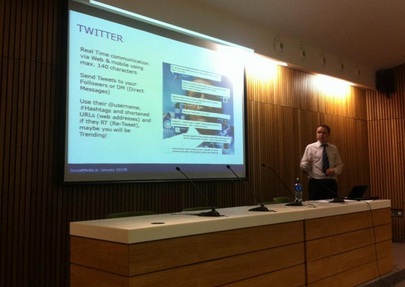 Conor Lynch, MD of SocialMedia.ie, and I had the pleasure of giving a presentation to several sports bodies at the Aviva Stadium on Tuesday 24th of January. We provided the Aviva Stadium marketing team and F.A.I. and I.R.F.U. representatives with a Social Media Mashup. The presentation covered the social media network growth and tips and techniques on how to grow their following and fan base. It was a great pleasure presenting at Ireland’s premier sporting venue. I can’t wait to get back there to see a game!